Q. I have a space attached to my home with a hip roof and three 4 x 4 wooden posts (roof supports) on concrete pillars that are approximately 3 feet into the ground. The space is about 10' x 12'. The floor is currently dirt and the space is unused. I would like to pour a slab and use the space as a 3 season room. My questions are: Should the footers be as deep as the post pillars (I live 60 miles north of Indianapolis)? If so, will I compromise the stability of the pillars by digging to the bottom of them? How thick should I pour the floor? What obvious things am I not considering? 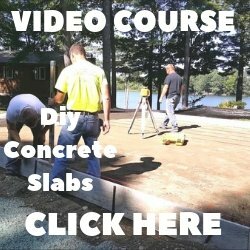 How do I estimate the amount of concrete that I will need? 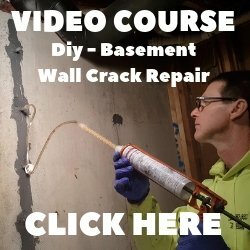 I am not an all-thumbs klutz and have some experience in home repair and maintenance but I have only a small amount of experience working with concrete. Is this a project that is beyond someone like me or is it within the realm of my capabilities based on the information provided? A. If the roof is going to be supported by the wooden posts then all you have to do is pour a slab. Dig out the existing material, if it isn't gravel, and replace with gravel. The new slab will be 6 inches thick with 2 inches of styrofoam underneath it so keep this in mind when digging. Use wire mesh or fibermesh for reinforcement. 10' x 12' x 6" will take 2 1/2 yds of concrete. If the concrete isn't supporting the roof, only the new walls, you don't have to dig all the way to the footers. If the new walls are bearing walls and supporting a floor above or the roof, then I would install a frost wall. It would be a good idea to hire someone who has experience installing concrete. Concrete is very difficult and expensive to fix if it isn't done right the first time.